Water leaking through windows or roofs. Damp basements under the home. Steam and condensation from showers, bathrooms, cooking or high air humidity. Poor ventilation or heating throughout the home. Failure to clean the effects of a water leak or flood. 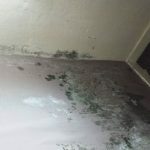 When any of the above factors are present in a property, mould can become a really serious issue. Removing mould and preventing it from building up on surfaces can save a property from future structural damage, save the health of the occupants within the property and also make the home a much more pleasant, healthy environment. Removing the visible mould is not just the answer though. The root cause must also be identified to eliminate the problem completely. How can mould be controlled in the home? Building maintenance and adequate ventilation is key to the prevention of mould within the home. 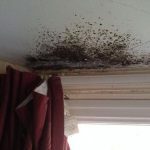 Any part of the home which causes ingress of water into the property or anywhere with a high level of damp or condensation is the main cause of the presence of mould and needs immediate attention. Keeping the property at a consistent and comfortable temperature is also important for mould prevention. If you have found that mould is present in your property, this is a cause for concern. 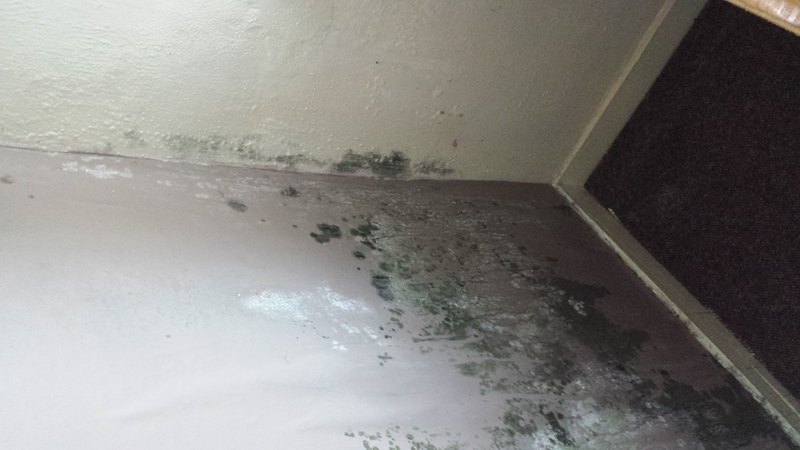 If you are unaware where the mould problem may be stemming from and would like professional advise on the cause and diagnosis, Damp Solutions are specialists! Not only do we pride ourselves on excellent customer service, efficiency and a highly professional and experienced team, all of our surveys are free of charge with a no obligation quote for any remedial work. How could the presence of mould be affecting your health? This can particularly be an issue for young children, babies and the elderly. Some people are sensitive to moulds. For these people, moulds can cause nasal stuffiness, throat irritation, coughing or wheezing, eye irritation, or, in some cases, skin irritation. People with mould allergies may have more severe reactions. Mould becomes an issue if a property is not well maintained or there is a lack of ventilation. Mould is usually a result of a condensation issue. Damp Solutions (preservation) are working closely with Housing Associations to offer a preventive maintenance service which offers regular property ‘check-ups’ to avoid future time consuming and costly problems. Our regular surveys allow us to pick up on any problems or repairs which need attention to eliminate the possibility of further damage. If you have noticed mould in your property and you are concerned, Damp Solutions (preservation) offer free, no obligation professional advice. Call our expert team now on 0800 500 3140.